This wee one has been enrolled in Otter School. “Luna” was only a week old when found lost and alone on a California beach. 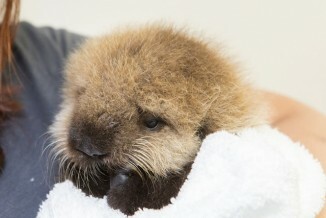 Weighing just two pounds at the time, she was taken in by Chicago’s Shedd Aquarium, where people have been teaching her the ways of the world — an otter’s world – how to swim, how to groom, and how to eat. How to be adorable, however, comes naturally. 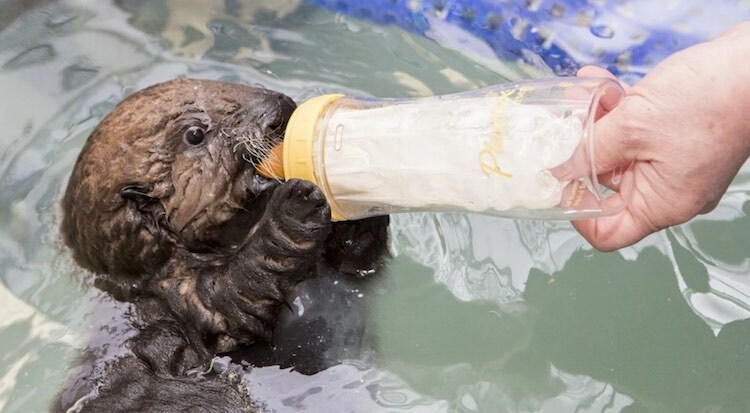 As part of the Monterey Bay Aquarium’s Sea Otter Program, six to eight animal care experts will give her round-the-clock attention until she’s eight months old. 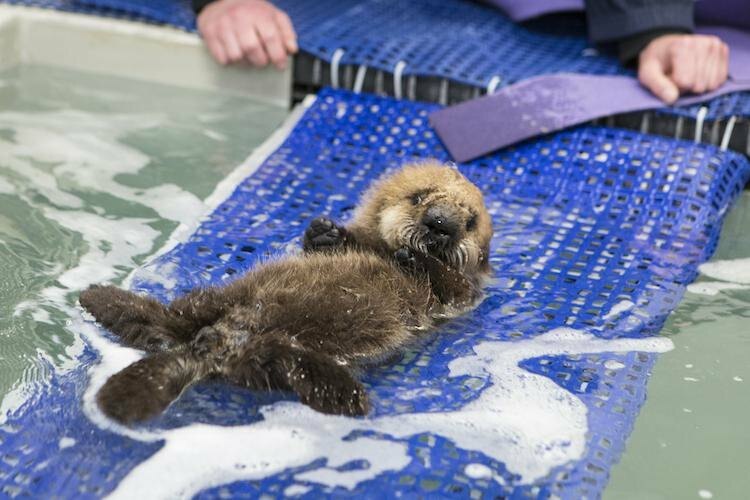 “Our animal care team is teaching the pup how to be an otter,” said Tim Binder, Vice President of Animal Collections at Chicago’s Shedd Aquarium. Over the past 25 years, nearly 700 sea otters—adults and pups—have come through the program, which rescues, treats and releases injured otters; raises and releases stranded pups through a surrogacy program; provides care for sea otters that can’t return to the wild; and conducts scientific research. Luna is on track to graduate with a diploma in ottering.